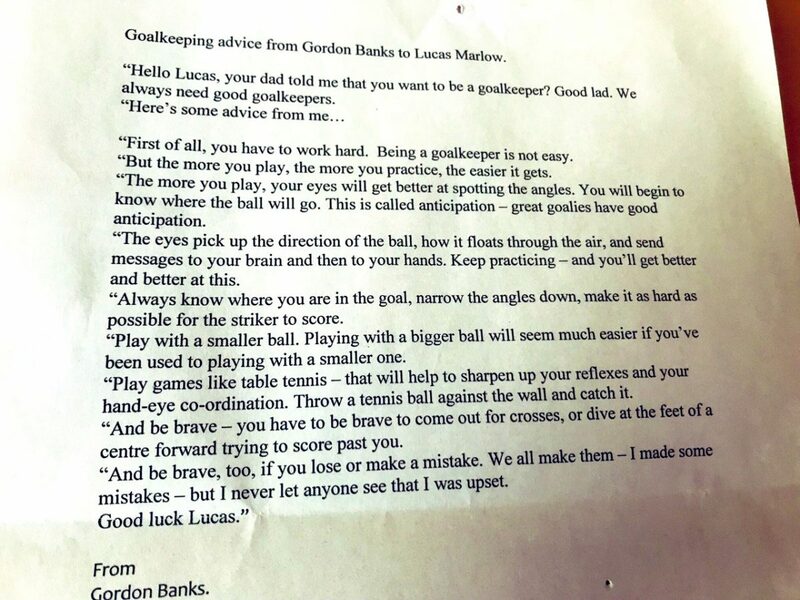 A touching letter of advice that Gordon Banks gave to an aspiring eight-year-old has emerged following the England legend’s death aged 81. Journalist Lee Marlow has revealed how Banks generously detailed his top tips after they finished an interview for the Leicester Mercury in 2011. 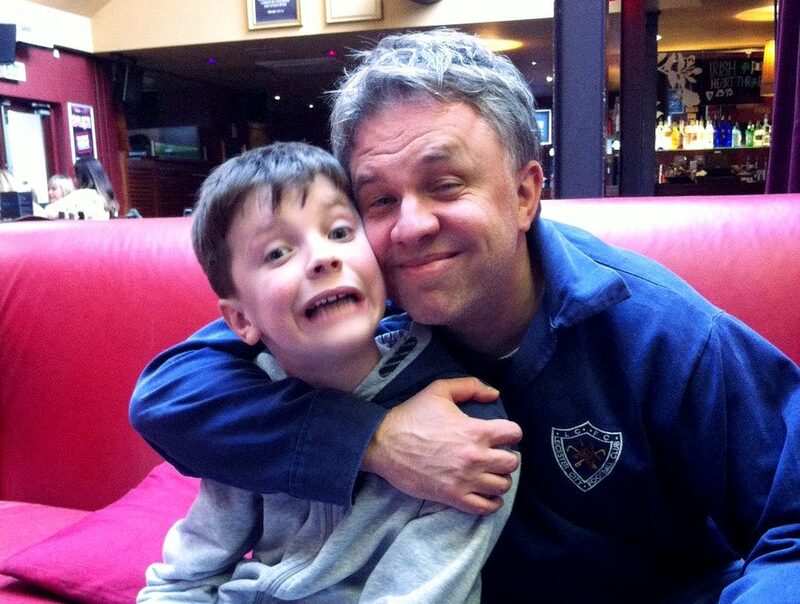 Lee’s son Lucas, now 15, has kept it framed on his wall ever since – but has now made it public following Banks’ death. The letter advised him to work hard, get lots of practice, be brave, and accept his mistakes. It also contained some useful training techniques, such as playing with a smaller ball and practising table tennis to heighten his reactions. Lee, now 48, from Leicester, conducted the interview with Banks about a campaign to get a statue of him – in Stoke – relocated to the city. 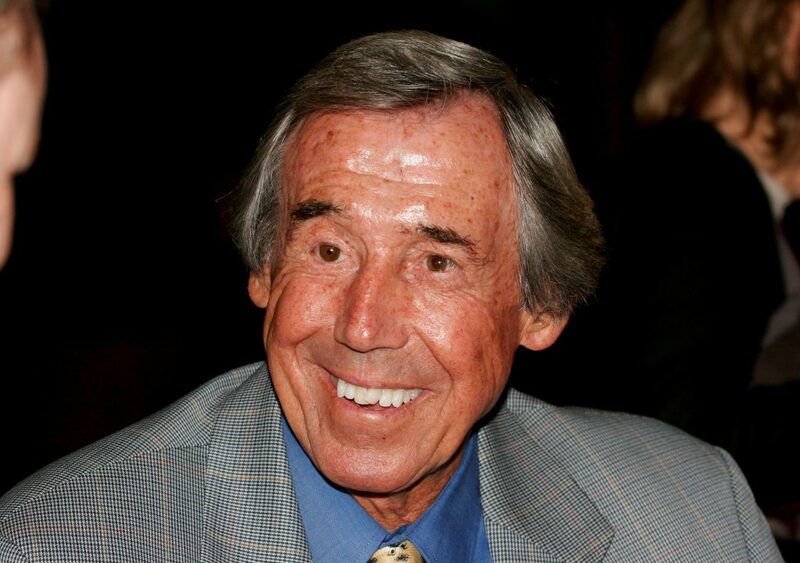 During the interview, Lee mentioned his son’s goalkeeping aspirations and Banks went on to reel off his best advice for how to succeed. Father-of-two Lee took down the notes and later typed it up and gave it to his son. 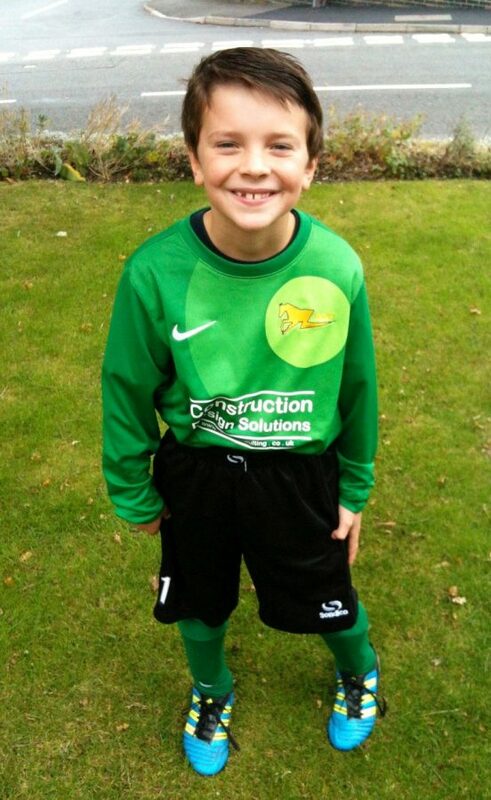 The letter, said: “Hello Lucas, your dad told me that you wanted to be a goalkeeper? Good lad. We always need good goalkeepers. “First of all you have to work hard. Being a goalkeeper is not easy. But the more you play, the more you practice, the easier it gets. “Play with a smaller ball. Playing with a bigger ball with seem much easier if you’ve been used to playing with a smaller one. “Play games like table tennis – that will help to sharpen your reflexes and your hand eye coordination. Throw a table tennis against the wall and catch it. “And be brave too, if you lose or make a mistake. We all make them, I made some mistakes, but I never let anyone see I was upset.